Joe Jackson aka Sgt. 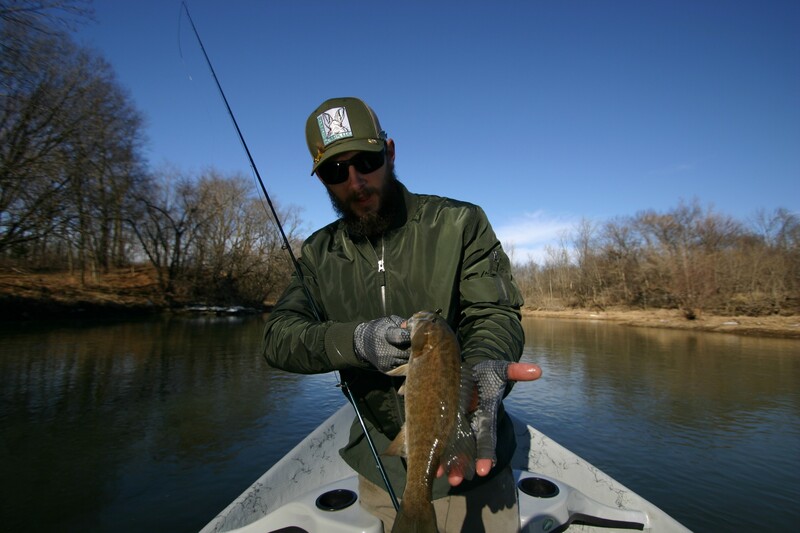 BassFisher with a nice January Smallie on a Woolybugger. One of the most scenic stretches with beautiful Sycamore lined banks. White River Campground Pedestrian Bridge. 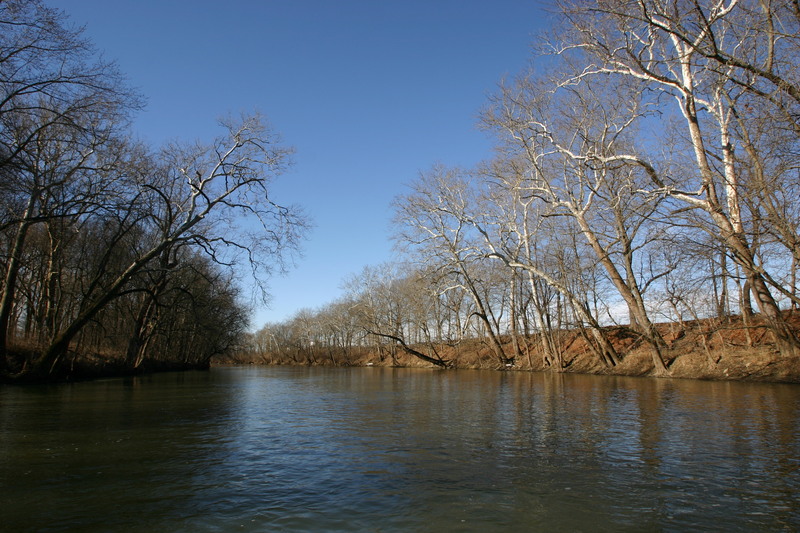 Enjoy the quiet of the White River while floating past Jason's favorite river cabin, SR37, Strawtown Rd Bridge, and Koteewi Park. Float from Lafayette Trace public boat Ramp to River Bend Campground or the Clare Avenue Fishing Chateau that sleeps 4 if you are planning to stay as our guests. Lodging is free if you book two consecutive guiding trips. Duck Creek – Bear Creek, Deer Creek and Long Branch merge into Duck Creek at River Mile 83. Koteewi Park – Majestically scenic area with the potential to spot a Bald Eagle. 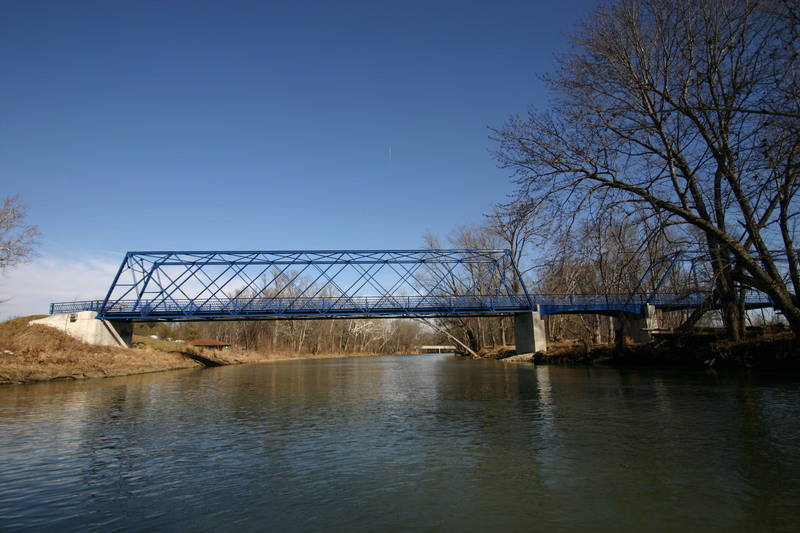 White River Campground – Beautiful Blue Pedestrian Bridge with lots of good pool and riffle fishing.